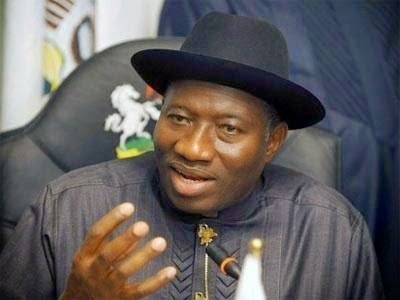 According to a report by Punch, President Jonathan has signed the 2015 Appropriation Bill into law. It was revealed that Jonathan decided to sign the budget into law a couple of weeks ago. The Senate had passed the 2015 budget on April 28, following the passage of the same bill by the House of Representatives on April 23, with an expenditure budget of N4.493tn, up from the N4.425tn proposed by the Executive. Nigerians were concerned to know if the budget will be signed before the May 29th handover date, now we know it's been done. However, a Presidency source informed Punch, that the President signed the budget about two weeks ago immediately after the document passed by the National Assembly was transmitted to him. The source, however, said he did not know why the President chose to sign the document without making it public. When contacted, the Special Adviser to the President on Media and Publicity, Dr. Reuben Abati, also confirmed that Jonathan had signed the budget. The Senate, in passing the budget, slightly reduced the N2.607,601, 000,300 proposed by the Executive to N2.607,132,491,708 as recurrent expenditure and simultaneously scaled down the capital expenditure from N642,848,999,699 estimated in the proposal to N556,995,465,449. The Chairman, Joint Senate Committee on Appropriation and Finance, Mohammed Maccido, explained that the details of the figure approved by the Senate in the document were not different from the version passed by the House of Representatives. He added that the budget would be driven by $53 oil benchmark, an exchange rate of N190 to one US dollar; 2.2782m per barrel crude oil production per day; and a deficit gross domestic product of -1.12 per cent. The budget also put fiscal deficit at N1.075tn; N953bn for debt service; N375.6bn as statutory transfers. Education takes the lion’s share of the budget with N392.3bn; followed by the military which gets N338.7bn while police commands and formations will receive N303.8bn. In the same vein, N237bn was voted for the health sector; N153bn for the Ministry of Interior while N25.1bn was budgeted for the Ministry of Works.